To get Bandar Utama from Kuala Lumpur International Airport (KLIA), just board the KLIA Expressway which is available at the airport itself & disembark at KL Sentral (final destination). The train fare is RM35, 30 mins express non-stop. 1. Bus - At KL Sentral in Brickfields, Bandar Utama is accessible via RapidKL buses route no. U43, U82, U86, U89, the bus fare is only MYR2 to Bandar Utama. Just board the bus at the Bandar Utama bus hub which is the final destination, and take a Taxi to Wisma BU8, it's about 3KM. To take a KLIA Limo taxi, buy a voucher at Limo counter. Proceed to waiting area at door B, present your voucher to a Limo staff. From KLIA head northwest on Jalan Pekeliling, turn left toward KLIA Extension highway. Continue straight onto KLIA Extension highway, take the ramp onto Utara-Selatan Hubungan Tengah highway. Merge onto Baru Lembah Klang highway. Slight left at Sprint Highway. Turn left at Jalan Melor, turn left at Jalan Melati. Turn right at Jalan BU1/12, turn left at Jalan BU1/11. 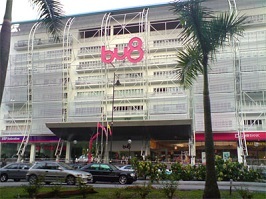 Turn left at Lebuh Bandar Utama, turn left again, BU8 will be on the left.